We all know that we want our website to list as close to #1 as possible, in as many ways that people might search for you as possible. Construction your site with search engines in mind will help your site rank higher. Google and Yahoo continually work to improve the way this happens. And their methods have dramatically changed in the last 3 years! Search engines send robot “spiders” or “bots” to index the content on your webpage. While this may sound comical (like worms, viruses, or cookies), spiders are really a set of mathematical algorithms. Search engines are looking for quality information to give their customers. Optimizing the coding and content of your web page and knowing the rules for optimal indexing is important! These 3 items are hidden in the section of your web page. Page Title: 5 to 8 words that show up in the top bar of your browser screen. It should be keyword rich, using few ‘stop’ words (‘the’, ‘and’, ‘it’, etc.) while still being a provocative headline. It shows up as the linked title in a listing of a search, so it needs to attract! Description: a META Tag that shows up on many search engine listings describing your Title / your site. It is 1 or 2 sentences (about 250 words) that are keyword rich. On Google, only about 60 words are visible of the 250 indexed. Keywords: Your page description is written first, keywords are gleaned from the description, then page title, then the content of your page is developed. Not all search engines look for the keyword META Tag anymore, but the words are important to research and create. The servers and spiders see the above information, but you don’t unless you look at the source code of the page. 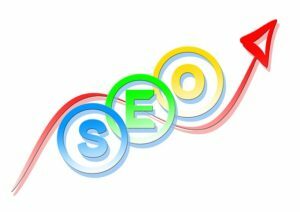 The Content of your site makes use of the keywords and phrases, using special tags and the location of the information. Place Keywords in Header Tags (H1, H2, H3): Think of them as “headline” tags, that will flag the search engines to consider those words important for indexing. Keywords and phrases should be placed in the first paragraph of your content — most commonly the introduction to the content on the page. A word to the wise here: Your site should be enjoyable to the reader. “Stuffing” keywords, or overdoing their use, will detract from both your readership and your ranking. Google might expect a keyword density in the entire body text area of maybe 1.5% to 2% for a word that should rank high, so don’t overdo it. ALT tags: images should include ALT tags, both for use of keywords and for browsers that show only text, especially if the image is hyperlinked. Hyperlinks: hyperlinked text in your body text are considered potentially important. Hyperlink your keywords! File names should also utilize keywords and phrases. Hyphenate the words of a phrase. Navigation: use keywords for text hyperlinks (or ALT Tags on images) for navigating to all the key pages in your site. Navigation should be easily found. Site Map: offers text links to all the pages in your site. For some content management systems, such as online catalogs or shopping carts, a site map can help spiders get to pages with dynamic URLs. The above page does it all! Does GDPR Matter in the US? Serving Southwest Florida and nationally, CeJay Associates helps you build and maintain your website, as well as integrate your branding and Internet strategies. in sunny Southwest Florida, in Punta Gorda.